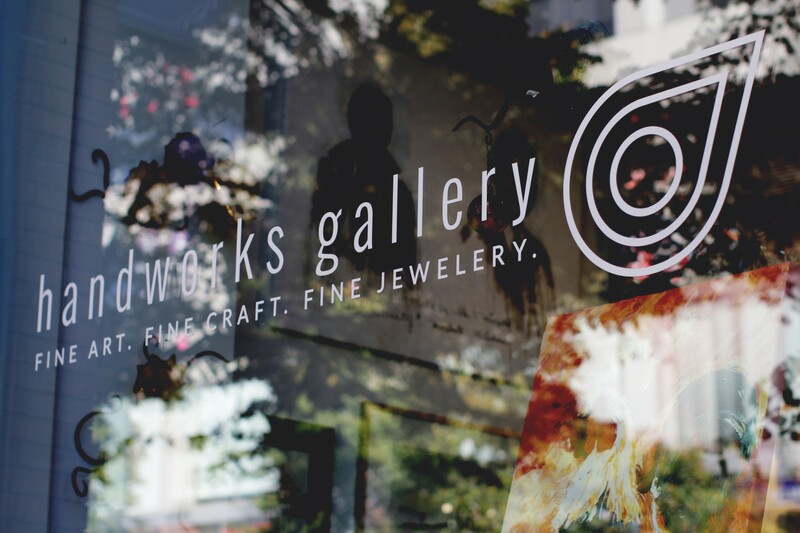 Handworks Gallery, established in 1990 in Saint John, NB has been and continues to be the premiere “local” artisan showcase and storefront. Handworks, through a prime retail location in the heart of Saint John, enables local artisans to collaboratively promote their works. Over 90 jewelry, pottery, textile, wood working, glass working and painting artists make Handworks their home in Saint John. Art makes a unique gift for a birthday, anniversary, retirement or wedding. Handworks Gallery gift cards are available in any denomination..
We offer an in-store Wedding registry for couples who would like to have a unique piece of art to mark their special day. From beautiful pottery, functional woodwork, to statement glass sculptures and paintings, guests are able to select gifts that will surely mark the event with the couples personal tastes in mind. Registries are also not just limited to weddings! Birthdays, anniversaries, retirement, or even Christmas Wish Lists are available at all times. Our layaway program is a wonderful way to secure the piece of art you love and pay for it over a specified period of time. The time period and deposit amount are mutually agreed upon and the artwork remains reserved for you at the gallery until the purchase is complete. Delivery and installation services are available for an additional charge. If you need assistance getting an artwork from the Gallery to you, we can arrange for a qualified art installer to deliver and hang the work in your space. Our Art Consultant will gladly visit your office to help you select the appropriate art for your work environment.